This month is set to be a highly competitive one when it comes to animated films as a total of 11 movies will be crowding into Chinese mainland theaters before the end of the year. Among the biggest draws, The Grinch, My Neighbor Totoro and Spider-Man: Into the Spider-Verse are looking to take on Ralph Breaks the Internet, which debuted on November 23 but is still going strong, to see who can become the box-office king of animation. Animated films have been performing extremely well in China in recent years. In 2015, Chinese film Monkey King: Hero is Back was the 10th highest-earning movie of the year with 956.43 million yuan ($138.98 million). The following year, Zootopia was the second-highest earner with 1.53 billion yuan, while Kung Fu Panda 3 took ninth place with a little over 1 billion yuan. 2017 was also a good year as Disney's Coco earned 1.08 billion yuan to reach No.10, while Despicable Me 3 took No.15 with 972.31 million yuan. Animated films are also the highest earners for Japanese films imported into China. The top three highest-earning Japanese films are 2016's Your Name (575.68 million yuan), 2015's Stand by Me Doraemon (530.32 million yuan), and 2018's Doraemon the Movie: Nobita's Treasure Island (209.16 million yuan). Compare this to the 96.75 million yuan Hirokazu Koreeda's Golden Palm winning live-action film Shoplifter earned in Chinese mainland theaters. The four biggest animated films competing in December reflect the general situation in the Chinese market in recent years. Ralph Breaks the Internet is from Disney, the biggest powerhouse considering its massive IPs. Then at second-tier, we have two other major Hollywood studio releases, Grinch from Universal Pictures' Illumination and Spider-Man: Into the Spider-Verse from Columbia Pictures and Sony Pictures Animation. 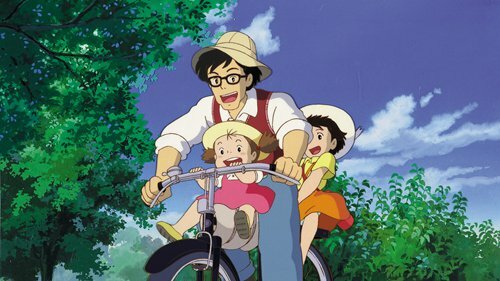 Japanese animation companies, relying on the long-term influence of manga in China, always have a guaranteed spot in the Chinese market as represented by Studio Ghibli's anniversary rerelease of My Neighbor Totoro. These four animated films can be categorized into three smaller types based on their target audience. Ralph Breaks the Internet and The Grinch are typical Hollywood family movies; My Neighbor Totoro, on the other hand, is aimed at young adults and teenagers who are fans of Japanese anime; and Spider-Man: Into the Spider-Verse is looking to bring in the male pro-US superhero demographic. How to appeal to mainstream audiences is one of the major challenges facing animation studios. Currently, the latest trend to market films outside the core audience is to turn to social media to create trending topics. When it comes to this, one advantage that animation studios have over live-action films is that they can more easily get local stars involved in the film as voice actors when it comes to dubbing in the local language. 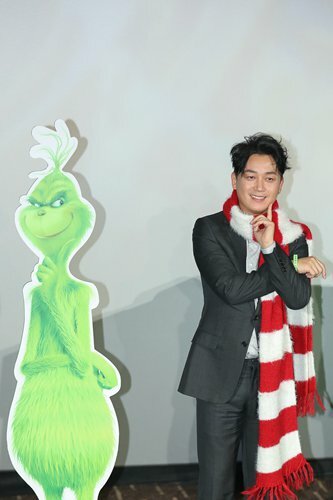 Actor Pan Yueming dubs the lead character in the Chinese version of The Grinch. My Neighbor Totoro has brought in actress Qin Lan and Spider-Man has pop star Peng Yuchang and Zhang Tianai in major roles. While Ralph Breaks the Internet seems to be an exception when it comes to inviting pop idols to join the voice cast, the appearance of numerous logos of Chinese companies in the movie, such as Tencent, Tmall and Sina, is without a doubt the studio's attempt to appeal to the Chinese market. Ironically, Chinese animated films have the biggest hill to climb when it comes to competing in their home market against these imported films. Besides the above-mentioned four imports, the rest of the 11 animated films this month are all domestic productions. However, none of them is likely to create a buzz in their home market, let alone attract the attention of audiences around the world.